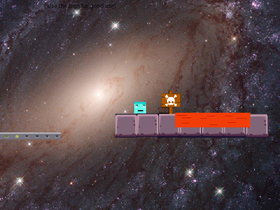 https://scratch.mit.edu/projects/281807240/ is my 400 level platformer, but it is not finished yet. It is from long time ago so it has terrible graphics. its on @flamestest. It has 100 levels so far. Creepypasta and Horror are welcomed!!! PATTY HAS 200 FOLLOWERES !!!!!!!!!! !